If you remember back to the Masters and US Open, I posted about the interactive coverage DirecTV had put together for those events. Not to completely come across as a salesman, the coverage is pretty neat. There is a special PGA Championship channel that displays several feeds from the course. You can quickly switch from one area of action to another. You also have access to a live leader board on your TV as well. Unfortunately I moved recently, and I do not yet have a dish capable of receiving the HD channels, so I’ll be back to the old standard definition coverage of the PGA Championship. For those of you lucky enough to have a big old HDTV and HD access, enjoy! DIRECTV, atop the leaderboard in HD and interactive sports coverage among pay TV providers, continues its run of offering golf fans unique, in-depth tournament viewing with its PGA Championship Interactive service, debuting Aug. 7. Supplementing broadcast feeds from TNT and CBS, as well as the online offerings of PGA.com, DIRECTV will provide enhanced and expanded coverage of the 90th PGA Championship at Oakland Hills Country Club in Michigan, during all four days of the tournament. The service, free to DIRECTV customers, will deliver four channels â€“ all in HD â€“ of Tournament coverage, including three unique channels that will focus on a featured group each day, featured holes and a new offering called â€œPlayers In Depth.â€ These channels will be available, along with live network coverage, throughout each networkâ€™s broadcast hours, Thursday and Friday from TNT (1-7 p.m. ET) and on Saturday and Sunday from TNT (11 a.m. – 2 p.m. ET ) and CBS (2-7 p.m. ET). Complimentary online coverage will also be available all four days from PGA.com. The PGA Championship Interactive Mix Channel will display all four channels on a single screen, allowing viewers to select and tune to each as a full-screen channel, each of them available in HD. 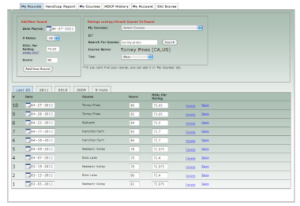 Each individual channel will also provide access to scores and stats at the push of a button. Live CBS/TNT network coverage of the tournament itself. Featured Group will follow a single groupâ€™s progress around the course, with announcers providing insight on the live play. Featured Holes will focus solely on two of the challenging par 3 holes on the Oakland Hills South Course. Viewers receive complete live coverage as players try different clubs, swings and strategies to meet the challenge. Players In Depth, a new featured channel, is a fully produced show with interviews, highlights, press conferences, graphics and up-to-the-minute stats. For example, a camera crew and host will visit the driving range or the 18th green and conduct interviews, while another host will provide voice-over highlights and lead-ins to additional content. Top 5 Leaders: Displays the top 5 current scores against par. Leaderboard: Provides information on all golfers in the field. Scorecard: Hole-by-hole stats for each player in the field. The current round and any previous rounds are included. At the top of the page, the playerâ€™s current yearâ€™s stats are displayed. PGA Championship Trivia: A new 10-question quiz on the history of the PGA Championship appears each day. Past Champions: A list of the winners and runners-up from previous PGA Championships. I’ll most definitely be watching on my big screen. Good to know! Thanks for the information! I like your site!